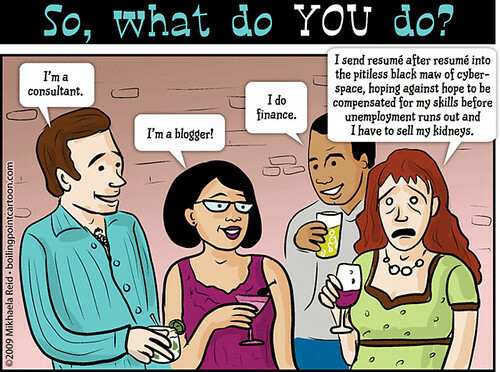 Boiling Point Blog: Feminist, LGBT and progressive political cartoons: Cartoon: So, what do YOU do? Cartoon: So, what do YOU do? There are many ways to spin long-term unemployment.